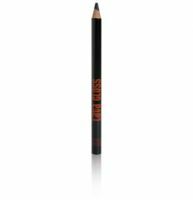 Smudgy liners that leave you looking like you got into a fight with a raccoon -- and lost -- have got to go. That's why we've rounded up the worst eyeliners ever. This way you can make sure you never spend another dime on an awful liner again. See the reviews now. "After a few hours it looks like you've been punched in the eyes." It "[dries] out before I even get to finish lining my eyes" and it "flakes off, leaving little black dots all over my face." "After multiple uses, the pencil is still too hard. It hurts having to scrub over delicate eyelids just to get color that lasts 30 minutes." Want to see what was the worst? Click here! can receive compensation for posting this material. well thats good i havent tried any of these now i wont lol! 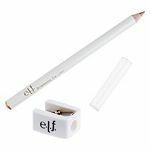 thanks for the post :) the worst eyeliner ive tried would have to be the elf liquid liner shaped like a sharpie. it was amazing at first but dried out in like a week. ridiculous! @Donna-That elf liner dried out on me too!